I couldn’t believe this bouquet was a week old when it came to me. The flowers were in such good condition and that rarely happens! 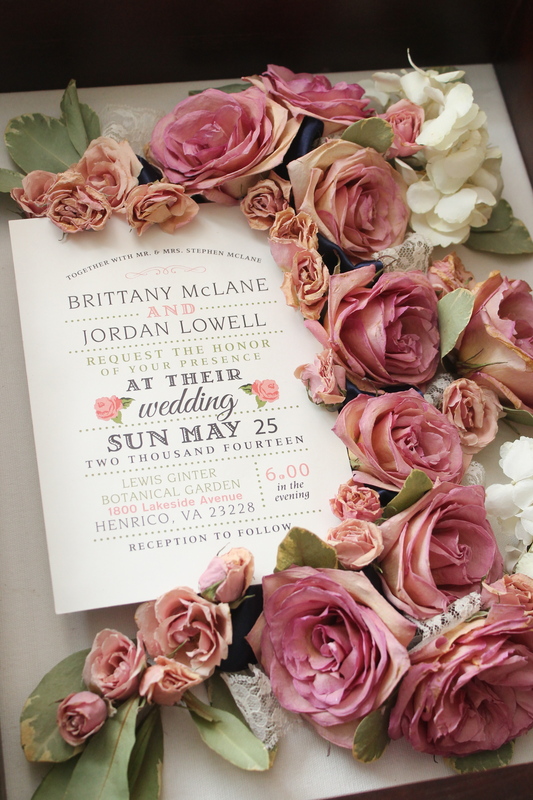 When the bride brought me her invitation after her bouquet had preserved I was excited to see that there were matching pink roses on it! 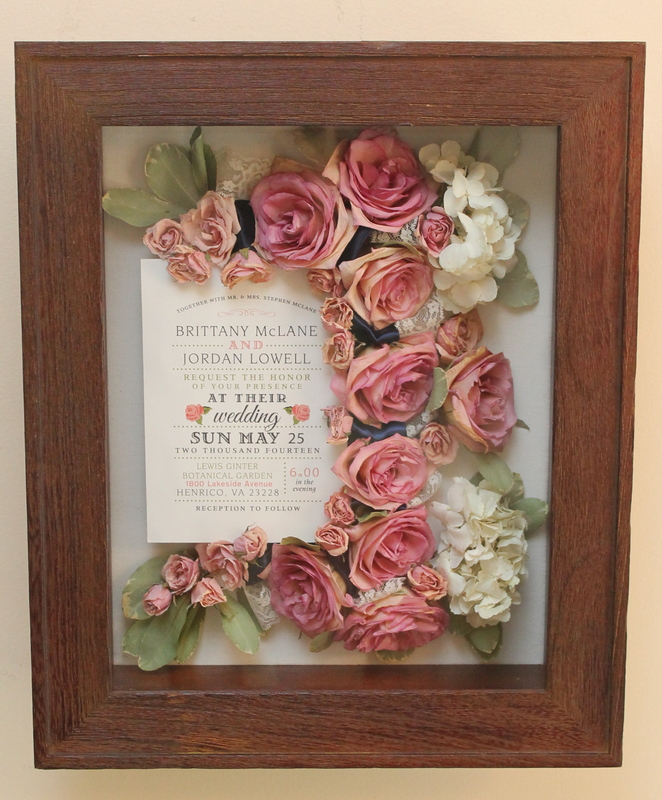 It turned out really cute and I love the combination of a country style bouquet with the rustic brown frame. I know she is going to cherish this arrangement forever! 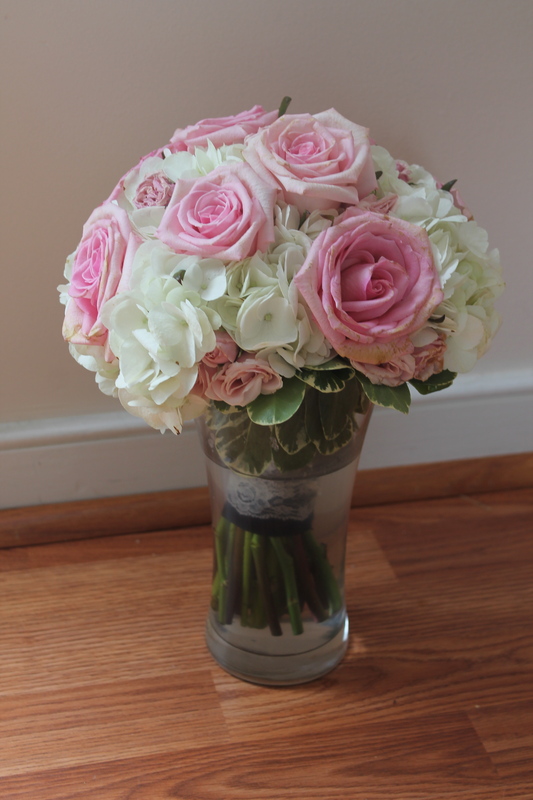 Bouquet was created by Coleman Brothers Flowers.